Leading the charge is the novelist Margaret Drabble, who attended the first festival in 1988 but has vowed never to return. The author of 17 novels, two biographies, a television play and winner of the John Llewellyn Rhys Prize told The Independent on Sunday it had become too "celebrity conscious". "It's a pity," she said. "The whole thing has become a celebrity festival, not an author's festival. Of course there are some very fine writers there this year. But the whole thing of festivals has become about book sales and marketing, nothing to do with meeting readers. They argue that if they're selling your book then you don't get a fee. But I like to get a fee unless I choose to be a patron or a friend which I am to one or two small festivals. I don't want ?100K and I don't see why Bill Clinton did, and he's not an author." The author Terence Blacker, who has written numerous novels, said he was "bemused" by the reaction he received when he suggested giving a reading of his biography of the theatre impresario and author Willie Donaldson. "I've loved Hay in the past, as performer and audience," he said, "but this year my new biography of Willie Donaldson was rejected on the grounds that a reading from it could only work if it was 'glammed up a bit' - direct quote - with celebrity readers. I can't help feeling that something about the festival may have changed in some way and I'm sad that I'll never be glam enough for it." A Fuse #8 Production: Have a Seat. I Have Something to Tell You. The excellent US blog, Fuse #8, is to become part of the School Library Journal website. Its author will be paid an undeclared retainer to write at least three entries per week. Just caught up with this spirited piece in support of comics and other light reading from yesterday's Sunday Times. What a star Michael Morpurgo is! If only he could have had longer in situ as Children's Laureate. There is no more rewarding sound than the silence of 35 children hooked into a story, hanging on every word. Just so. I was called away at short notice last week to join a Y5 residential visit when one of the accompanying teachers injured her ankle, and found myself reading to a class of children in their bedclothes, slippers and dressing gowns. The book I'd grabbed in a hurry on leaving the house turned out not to be the one I'd intended, so I ended up reading a story I wasn't familiar with - The Fate of Thomas P. Kanne by Brian Jacques from a collection 'Seven Strange and Ghostly Tales', a dark cautionary tale about a graffiti vandal. It was much longer than I realised and had to be continued on a second night but it evoked just the silent response described by Morpurgo above. "The best teachers," Morpurgo says, "will love books for themselves and want to pass this on." If only he were still Laureate, repeating this over and over at the highest levels, because it isn't getting through. The question most likely to discomfort newly qulaified teachers (and, even more sadly, sometimes more experienced teachers) when they come to interview is always one about what they would choose to read to a particular class of children. Scaredy Squirrel introduces us to a sympathetic little character who has so many fears that they prevent him from leaving the security of his home in a nut tree. Melanie Watt's visual humour is always sympathetic while being funny as she explores the little squirrel's dilemma. Scaredy's final courageous leap beyond his tree is accompanied by a flap that sends him from the confines of the book and his fear into the unknown. Lee has been caught breaking and entering, a job done for a local gang. He has only one chance to rehabilitate himself when he is sent to live with his Aunt Reena. Through her influence and those around him in the community Lee begins, slowly but styeadily, to take respondibility for his actions and move out more positively into the community. ACHUKA is not going to Hay for the Red House Children's Book Awards this year. Lovely as it was to be there last year in the end-of-festival heat (I hope, for the sake of those who are attending this year, the weather will look up as this week goes on, just as it did in 2006) and to be able to follow up the awards themselves with those brilliantly entertaining star appearances by Eoin Colfer and Daniel Handler (see our report from last year), it is, as I hinted might be the case at the time, partly the new venue's inaccessibility that has discouraged us from going. To attend the festival in any degree of comfort requires considerable pre-booking, with regard to accommodation, travel etc. Apologies then to the shortlisted authors and illustrators and eventual winners for the fact that coverage of the awards this year will be limited to a short blog entry and main page listing. The winner, who will receive a cheque for �1,500, will be announced in the Guardian on September 28. This year's judges are Philip Reeve, who won last year with A Darkling Plain; Linda Newbery, winner of this year's Costa children's book of the year with Set in Stone; and Eleanor Updale, creator of the Montmorency novels. The author of more than 20 children's books, Alexander is probably best known for "The Prydain Chronicles," a five-book series he wrote in the 1960s. The winner will be announced on Thursday, June 7. Since the recent redesign of The Times website, linking to children's book reviews has become more difficult. The latest children's books reviews are not being consistently listed in the reviews summary. 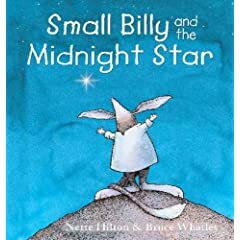 A search for 'Nicolette Jones' normally locates the Book of the Week url, but is currently returning '0 results', as is a search for the 'Small Billy'. Previously, the Children's Book of the Week slot was always included in the full reviews listing. If anyone knows of a better way to navigate through the new system, do let me know! This is an intelligent piece of writing, one which brought back happy memories of Peter Dickinson's superb archaeological adventure A Bone from a Dry Sea. Birch, with the humility of a confident writer, pays her dues: she references Picnic at Hanging Rock at an appropriate moment, showing us that just because an idea has been explored once before does not mean it cannot also be taken in other, equally interesting directions. Much to ACHUKA's pleasure, Andrea Deakin's newsletter for May 2007 reverts to its former format. Read especially the feature on Tundra Books' 40th anniversary. This May Tundra Books is celebrating its 40th Anniversary. In 1967 May Cutler, an innovative lover of the arts and a Montreal-based writer and editor, founded a company devoted to creating the best possible books for Canadian children. By the time I had started reviewing, in March 1971, the company had already made its mark with the excellence of its production. The judging panel included Nicolette Jones, writer and critic, Claudia Mody, fiction buyer for Waterstones, Annie Everall of Derbyshire Libraries and Frances Hardinge, who won last year for her debut novel, Fly by Night. The winner will be announced at an award ceremony on Thursday, 28th June at Walker Books in London. Dublin born author, John Boyne won the Bisto Book of the Year �06/�07 for his book The Boy in the Striped Pyjamas. The results of the seventeenth Bisto Book of the Year Awards were announced on Monday, 14 May 2007 at a ceremony in No.6 Kildare Street, Dublin. John was presented with the newly commissioned Bisto Book of the Year Trophy and a cheque for E10,000 by Senator David Norris and Chairperson of the Judging Panel, Mary Shine Thompson. The Boy in the Striped Pyjamas is John's first book written for children and tells the story of a nine year old boy struggling to understand what is happening around him in Auschwitz during World War II. The novel has been shortlisted for many literary awards including the British Books Awards. This year�s Eil�s Dillon Award went to Siobhan Dowd, author of A Swift Pure Cry. Siobhan was presented with a specially commissioned glass sculpture and a cheque for E3,000. Oliver Jeffers, author and illustrator of The Incredible Book Eating Boy, �il�s N� Dhuibhne for Hurlamaboc and Siobh�n Parkinson for Something Invisible. and Kate Thompson for The Fourth Horseman. Following receipt of an Arts Council grant, Kate Jones, magazine founder, has appointed someone to take over as editor of Young Writer. Clare Pollard is a 28 year old poet and playright. She also teaches creative writing for the Arvon Foundation. The judges are Ian McMillan and Fiona Waters, and the judging panel is chaired by Margaret Meek Spencer. The winner will be announced at a ceremony at CLPE on Wednesday June 13th 2007. The CLPE Poetry Award, for a book of poetry for children, was launched by the Centre for Literacy in Primary Education in 2003. Previous winners have included John Agard, Grace Nichols and Roger McGough. The Award is sponsored by Mr and Mrs Pye�s Charitable Foundation. The overall winner was The Illustrated History of the South Pacific by Marcia Stenson, which was named the book of the year, as well as the best non-fiction book. The junior fiction category was won by Thor's Tale by Janice Marriott. 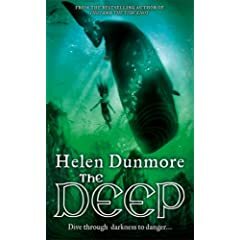 Her book tells the story of a meeting between a boy on a Norwegian whaling station on the sub-Antarctic island of South Georgia, and the crew of the British exploration ship Endurance. Kiss Kiss Yuck Yuck by Kyle Mewburn, won the award for best picture book and the children's choice award. It was illustrated by Ali Teo and John O'Reilly. The best first book was The Three Fishing Brother Gruff, a re-working of the three billy goats gruff story, by Ben Galbraith. On the 22nd April Puffin had to lock the What Is Robert/being forum and prevent any new posts or discussion. This was because the forum had been hit by a wave of spam. We now hear that a decision has been taken to hand over administration of the forum to "a much bigger website with higher technical ability". This means that when users click on the forum link of http://www.whatisrobert.co.uk they will be redirected to the specific Kevin Brooks area. In this area they will be able to post as usual and hopefully resume their previous discussions. Alan Johnson, Secretary of State for Education and Skills, has invited every maintained secondary school in England to choose 20 free books for their library as part of a �600,000 initiative to encourage more teenage boys to read for pleasure. Schools will be able to select the books from a new �Boys Into Books� list commissioned by the Department for Education and Skills and created by the School Library Association (SLA). It has put together a collection that incorporates classic novels with action, adventure, fantasy, crime, horror and sports titles, as well as fact-based books, history and humour. Continue reading Boys Into Books - Free Books For Schools. The President of the Royal Society, Martin Rees announced these titles as the Winners of the Junior Prize and the General Prize respectively, at an award ceremony held last night at the Royal Society in London. The Junior Prize is given to the best book written for young people aged up to 14 years old. Can you feel the force? uses physics to answer questions such as, �can you lie on a bed of nails?, �what�s inside an atom?� and �can you walk on custard?�. It also provides an accessible and entertaining introduction to some of the great scientists, such as Newton and Galileo, and outlines simple experiments to try at home. � How nearly everything was invented by the brainwaves devised and illustrated by Ralph and Lisa Lazar, and written by Jilly MacLeod. Although I frequently fall behind with newspaper reading, I never throw a copy away without at least giving each page a good scan, even if it takes me weeks to get to it. Case in point being this account from April 17th of a visit by Kevin Crossley-Holland to the school where his daughter teaches. Titles-by-kiddie-committee ... What do YOU reckon? Readers will be avid for the final book. While they wait, till next year, they can ponder the little next-generation vignettes that form an epilogue to Zenith. All may not be quite as it seems. John McLay, director of the inaugural Bath Festival of Children�s Literature, taking place between 21st-30th September 2007, has announced two major headline sponsors. The Daily Telegraph will be the national media and title sponsor for the festival. Waterstone�s are on board as headline sponsor and will handle book sales throughout the 10-day series of events for children, young adults and families. The Daily Telegraph Bath Festival of Children�s Literature has lined up many of the biggest names in children�s publishing. Festival confirmations so far include present Children�s Laureate Jacqueline Wilson, Eoin Colfer, Lauren Child, Anthony Horowitz, Allan Ahlberg, Louise Rennison, Garth Nix, Darren Shan, Julia Donaldson, Francesca Simon, Geraldine McCaughrean, Martin Brown, Cathy Cassidy, David Almond, Jenny Nimmo, Philip Reeve and Joanne Harris. Working Partners have announced the creation of a new literary agency based in the USA, to be headed up by Sarah Davies, currently Publishing Director of Macmillan Children�s Books. The agency will focus on children�s fiction and will start trading in early autumn this year. Sarah will be based in Washington DC. Plans regarding the UK are to be announced in due course. Sarah Davies has had a long career in children�s publishing, having spent several years at HarperCollins and Transworld before moving to Macmillan Children�s Books in 1994. In 2004 she became Publishing Director of MCB, with editorial responsibility for the whole children�s list, which comprises fiction - including the Young Picador teen imprint - picture books and gift books, non-fiction and poetry, and the Campbell novelty books imprint. Sarah has maintained her particular involvement in fiction and has worked with many leading authors, including Meg Cabot, Judy Blume and Sarah Mlynowski in the US, and Gwyneth Rees, Julia Donaldson, Geri Halliwell, Julie Burchill and Julie Bertagna in the UK - as well as acquiring and helping to build many new writers on both sides of the Atlantic. Working Partners has had considerable success as a packager of children�s fiction and has sold series to nearly every US and UK children�s publisher. You will have noticed that ACHOCKABLOG has been a bit thin on launch events and party picture galleries so far in 2007. This recent post from fusenumber8's blog gives us an idea for the next event we do attend. Total Number of Attendees: Dunno. Could have been 30. 30 sounds right, right? Let's say 30. Hot Shoes of Children's Literature: Don't remember her name, but there was a pair of black leather boots on one of the Queens librarians (memory foggy) that probably took the cake. Bologna Book Fair - from an animation/licensing angle. January 2010 will mark the tenth anniversary of when "Cirque Du Freak" first saw print. But I started work on the book two and a half years before that, on May 8th, 1997 to be precise!!! That means on this coming Tuesday, May 8th, 2007 it will be TEN YEARS since the actual conception and birth of "Cirque Du Freak"
What makes this book really remarkable... is the word-by-word, phrase-by-phrase, writerly care in finding the mot juste, the perfect metaphor, striking image, or resonant nuance. A woman looks at a child �absently as if to see whether she had been delivered the right package�; the feeling of being watched is like �dead leaves down the back of your jumper�; supermarket trolleys have �far too much body language for objects with no heads or limbs�. Genius. for science-fiction fans who don't mind the lack of characterisation, Un Lun Dun should provide lots of fun. Continue reading Techno For teens. The School Librarian Of The Year Honour List will be announced today by Michael Morpurgo at the Tower of London, with the winner selected later in the month. Publisher Random House Children's Books has launched the Jacqueline Wilson online fan club, developed by UK digital content and design agency Prism Entertainment. Wilson is best known for The Story of Tracy Beaker, which has been adapted into a highly successful television series for CBBC. The new site, www.jacquelinewilson-online.co.uk, allows Wilson fans to 'social network' in a safe environment with their peers and discuss the topical issues that her books reflect, as well as submit reviews, play games and receive free downloads.